The California State Athletic Commission has released the official salaries for all of the contestants who competed in Saturday’s “UFC on FOX: Johnson vs. Benavidez 2” event. 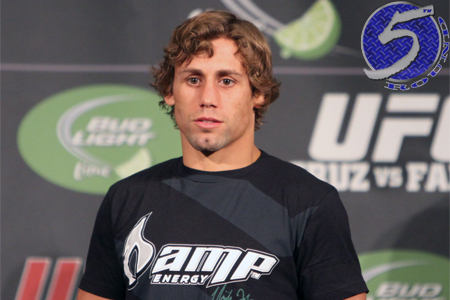 Despite appearing in the show’s co-featured attraction, hometown hero Urijah Faber (pictured) walked away as the night’s highest earner. Half of Faber’s $200,000 payday came via win bonus for submitting Michael McDonald. Flyweight champion Demetrious Johnson, who knocked out Joseph Benavidez in the main event to retain his title, pocketed $175,000. However, only $50K of his paycheck was by way of win bonus. Sleep Train Arena in Sacramento hosted Saturday’s event.